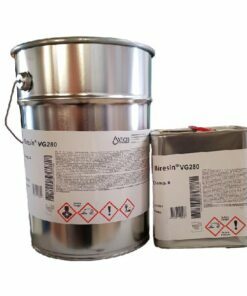 Biresin VG280 is a rigid vacuum casting system used for manufacture of very impact resistant housings, coverings and other mouldings. Also used for manufacture of thin walled parts with complex structure. If you are interested in this product, please call 01284 630028 or email info@neillsmaterials.co.uk for further information. 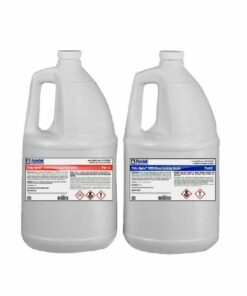 Poly Optic 1490 Clear Casting Resin is a two-part, liquid polyurethane resin that cures (RTV) to a water-clear, Shore D80 plastic. 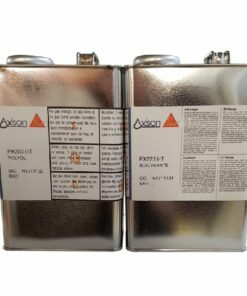 This product has a simple 1A:1B mix ratio by volume (100A:90B by weight). Poly Optic 1490 has a Mercury-Free Formulation. PX 1000 is a semi rigid vacuum casting system used for casting in silicone moulds for the realisation of prototype parts and mock-ups whose mechanical properties are close to those of ABS thermoplastics. If you are interested in this product, please call 01284 630028 or email info@neillsmaterials.co.uk for further information. PX 205 is a semi rigid vacuum casting system used in casting for production of transparent prototype parts and mock-ups having mechanical properties close to those of thermoplastics such as polypropylene or PEHD. If you are interested in this product, please call 01284 630028 or email info@neillsmaterials.co.uk for further information. PX 223 HT is a specialist vacuum casting system used for casting in silicone moulds for the realisation of prototype parts and mock-ups whose mechanical properties are close to those of thermoplastics. If you are interested in this product, please call 01284 630028 or email info@neillsmaterials.co.uk for further information. PX 226 is a rigid vacuum casting system used for vacuum casting in silicone moulds for making prototype parts and mock-ups with mechanical properties similar to thermoplastics like polystyrene and filled ABS. If you are interested in this product, please call 01284 630028 or email info@neillsmaterials.co.uk for further information. PX 234 HT is a specialist vacuum casting system used for casting in silicone moulds for the realisation of prototype parts and mock-ups whose mechanical properties are close to those of thermoplastics with very good thermal resistance such as: PA6.6, PPS, PEEK. If you are interested in this product, please call 01284 630028 or email info@neillsmaterials.co.uk for further information. PX 245 is a rigid vacuum casting system used for vacuum casting in silicone moulds for making prototype parts and mock-ups with mechanical properties similar to thermoplastics like polyoxymethylene and polyamide. If you are interested in this product, please call 01284 630028 or email info@neillsmaterials.co.uk for further information. PX 280 is a specialist vacuum casting system used for vacuum casting, low pressure injection process in silicone or rigid moulds for the realisation of prototype parts and mock-ups whose mechanical properties are close to thermoplastics like filled polypropylene or filled ABS. If you are interested in this product, please call 01284 630028 or email info@neillsmaterials.co.uk for further information. PX 5210 is a clear vacuum casting system used for casting in silicone moulds: transparent prototype parts up to 10 mm thickness (PX 5212) or even up to 100mm (PX 5213): crystal glass-like parts, fashion, jewellery, art and decoration parts, lenses for lights. If you are interested in this product, please call 01284 630028 or email info@neillsmaterials.co.uk for further information. PX 761 is a flexible vacuum casting system used for casting in silicone moulds for making prototype parts and flexible mock-ups. If you are interested in this product, please call 01284 630028 or email info@neillsmaterials.co.uk for further information. 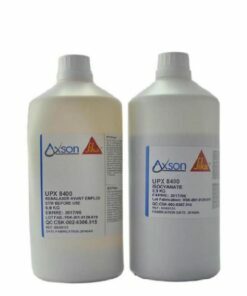 UPX 8400 is a flexible vacuum casting system used for casting under vacuum in silicone moulds to make soft prototype parts or small series of rubber like parts. Fully compatible with ESSIL 291 silicone moulds. If you are interested in this product, please call 01284 630028 or email info@neillsmaterials.co.uk for further information.